Infrequent updates to AMD's AGESA (AMD Generic Encapsulated Software Architecture) - software on AMD mainboards which are responsible for initialising aspects of the CPU including processor cores and memory controller - have proven to be significant events in the Ryzen lifecycle thus far. The most recent revision - AGESA 1.0.0.6 - substantially improved memory support at higher DDR4 DRAM speeds and across more manufacturer ranges. 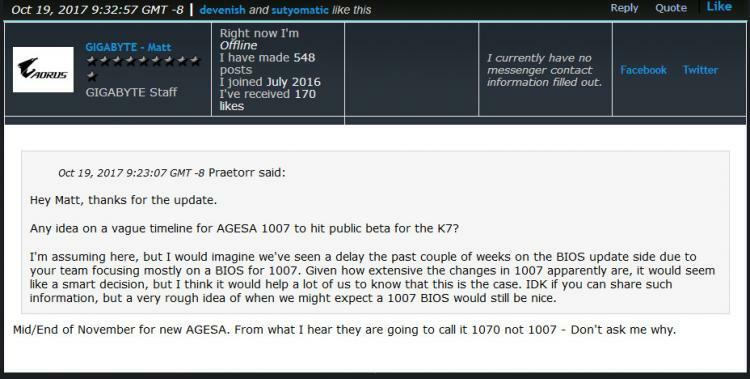 Next up is AGESA 1.0.0.7, and with it the building blocks for future CPU support. Last week it was revealed that 1.0.0.7 would specifically support Raven Ridge, the upcoming APU series with processor cores based on the Zen microarchitecture. It was also stated that AMD have also changed the entire BIOS base structure, requiring further work from mainboard partner BIOS engineers to port their customisations across. 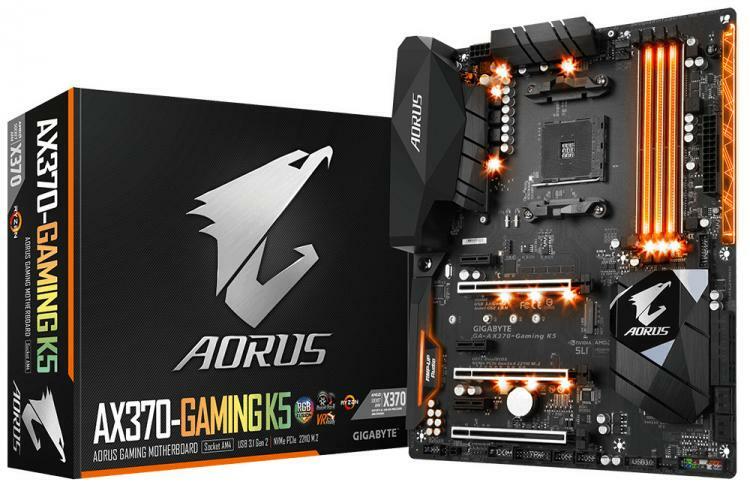 The implication from the statement is that a BETA BIOS for GIGABYTE's 300-series mainboards will be released shortly thereafter (depending on how testing progresses), with full BIOS updates to follow. It's also worth noting that AMD may be incrementing the version number to 1.0.7.0 with this release, reflecting its significance. Referring back to this thread on Overclock.net, we probably shouldn't expect a vast array of bug fixes in this upcoming release, and indeed the magnitude of the changes may in fact introduce more in the short term. As with most BIOS updates, if you're not experiencing issues in your current version it's best not to switch until you have a compelling reason to do so.